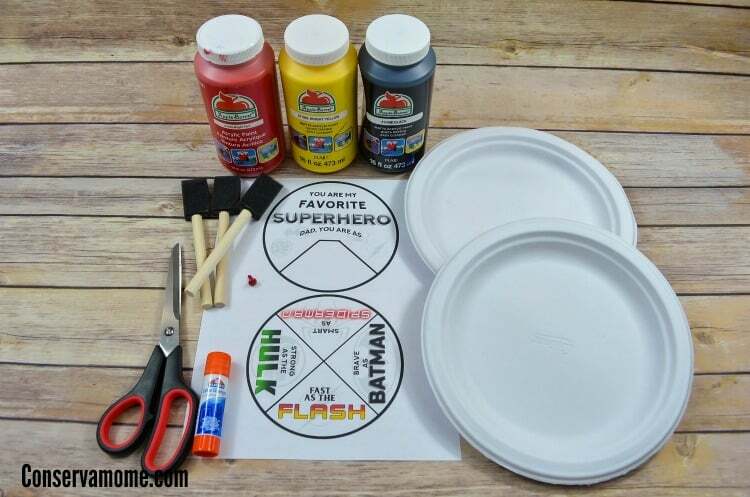 This fun Super Hero Father’s Day Craft Idea is the perfect way for kids to show their father what an amazing superhero they think he is. Easy to make and a fun project that will be something they treasure forever! My kids think the world of my husband and in their eyes he’s definitley a superhero. That’s why I love this craft, because it allows them to show how awesome they think their daddy is. 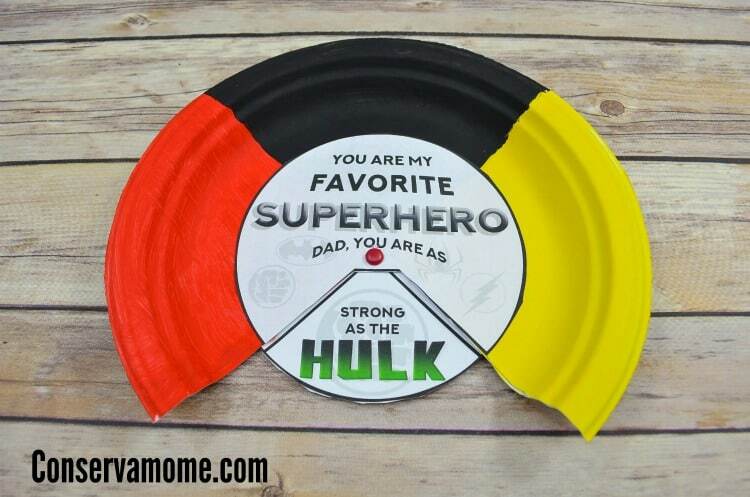 This Father’s Day Superhero Plate Spinner is the perfect Father’s day craft for the special man in your little one’s lives. 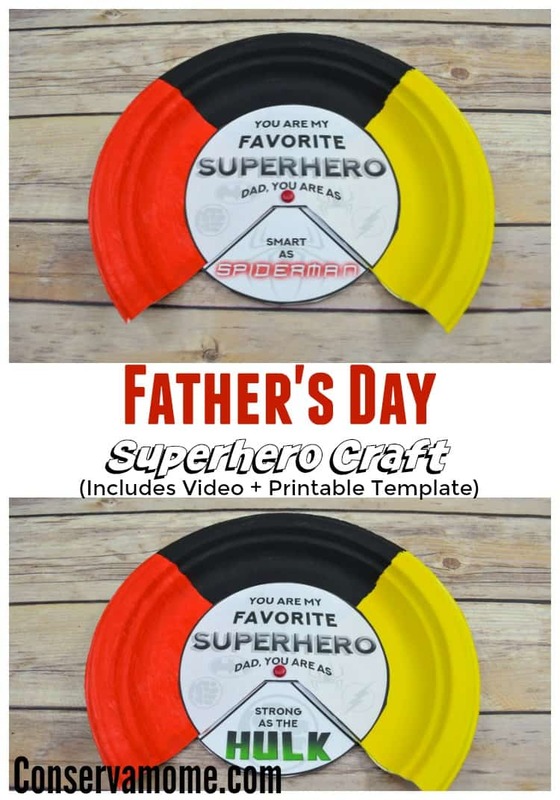 So check out how easy it is to make this fun Father’s day Superhero Craft. Make sure and print out the Printable PDF and watch the Video tutorial below for exact instructions. 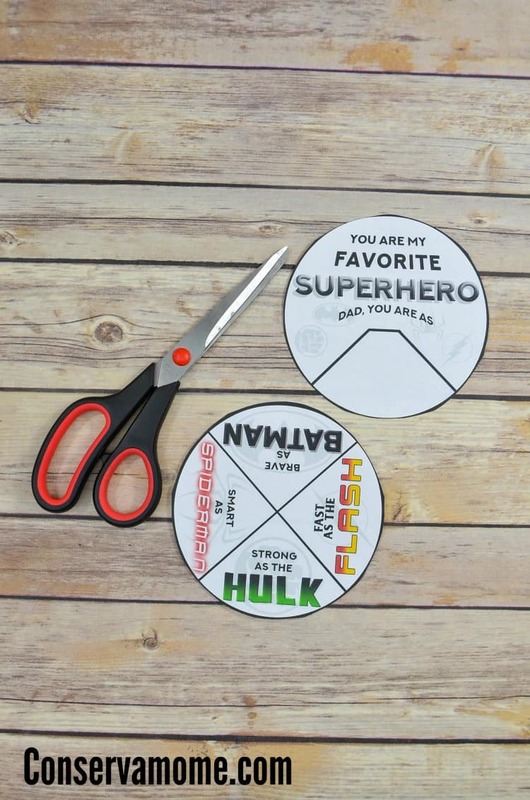 * Use the scissors to cut out the two circular templates. 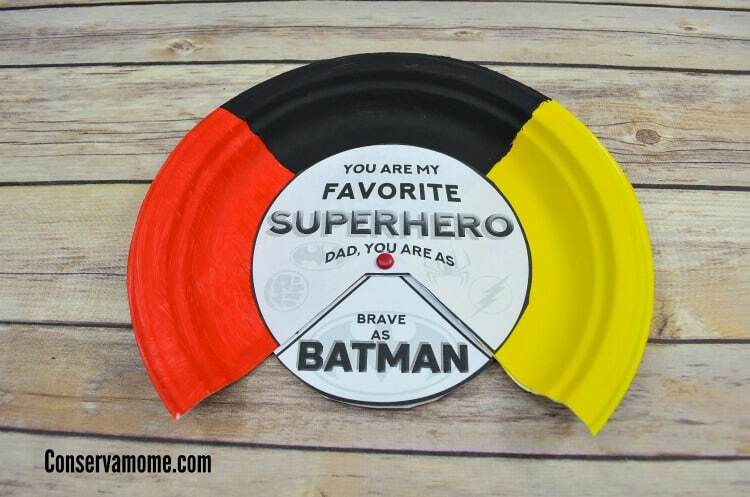 We’ll name the template that says “You are my favorite Superhero” Template A, and the template with the superhero names Template B. 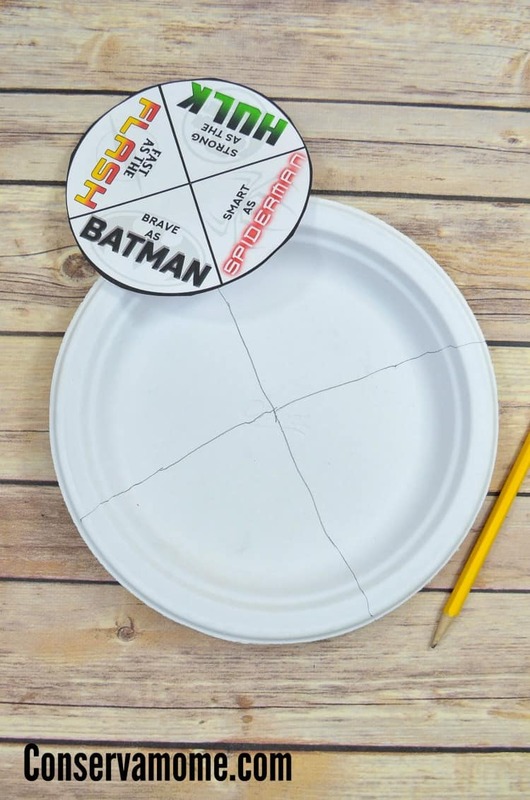 * Place template B onto one of the plates and use it as a guide to trace a ‘X’ pattern onto the plate. There is now 4 sections to the plate. * Paint the right hand section red, left section yellow and the top black. * As you’re waiting for the paint to dry. Glue template B to the other plate, cut it out. Use the scissors to make a hole in the center of the ‘X’. 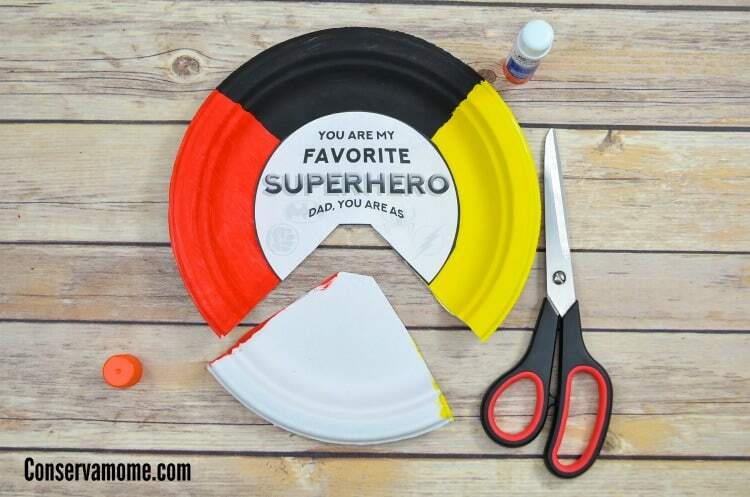 * Once the paint is dry, glue Template A on to the center of the painted plate. Use the scissors to cut out the bottom quadrant. * Line up Template B under Template A until you can see the superhero in the cut out quadrant. Use the hole that was poked through Template B to create a hole in template A. * Put the crafting brad through the top of Template A, through Template B. Secure the crafting brad on the back of the plate. * It’s done & ready to spin! To see the exact process check out the fun video below. Don’t forget to print out the template here!